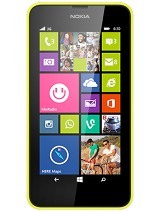 Sanni, 12 Jun 2014Bought 2 Lumia 630 Duel Sim for me and my wife. Both have no audio during call issue. Hard res... moreFirst I have also same problem but now solve it . I think u r using one sim so this happen use two sim then it fix. 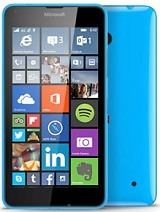 Bought 2 Lumia 630 Duel Sim for me and my wife. Both have no audio during call issue. Hard reset only solve the prob but it happening again... Have anybody find any permanent solution for this? Hi friends, i am from sri lanka. I used an android phone for 2 years and highly impressed with the apps. Is there any sinhala-english dictionary in windows phone store? Pls reply me. Hi, anyone using this phone kindly tell me whether this has a problem with ear piece or not. Thnx frndzz. 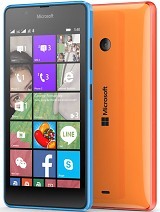 good phone in this price range. Only have problem when I am using Facebook via 3g or wifi. it lags to much Facebook messenger also not updating on time new message notification showing but when going to the FB messenger app there is no new message. Uploading Pictures and videos on whatsapp is also very slow. Skype is also working very slow. if anyone have the same issue or have any solution please post it. is tubemate work in lumia 630ds? AnonD-83821, 10 Jun 2014dude i agree with you but nokia flooded the market with 512 mb ram mobiles like 520, 620 and 7... moreA windows phone having 512 is equal to an android having 1.5 GB RAM. Anonymous, 11 Jun 2014poorest phone i ever bought..poor reception on data service..keep on jumping to 2g everytime i... morefrom your comment it can be understood easily that you are an android fan and will remain an android fan forever. 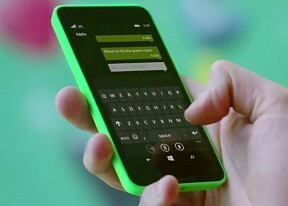 Anonymous, 08 Jun 2014Yes every lumia after black update supports double tab to wake up Absolutely correct !!! poorest phone i ever bought..poor reception on data service..keep on jumping to 2g everytime i tried to browse internet, open fb or even open windows store..i've used ip4s before and had dropped it twice but its still managed surf using 3g..my location is equipped with up to 4g data service..my family also mentioned that my voice thru the phone is like im calling from the edge of the world..to other people out there who want to buy dis phone i recommend to forget it..juz add ur self few bucks more then u could have a nice android phone..only reason i bought dis phone was only to experience windows phone..dis evening i throw the phone to the wall so dat i wont see it again..disastrous phone ever made by nokia..